A livestream is live audio or video sent from your device (typically a smartphone) to a service that allows others to listen and/or watch. Facebook is a huge source of livestreams. 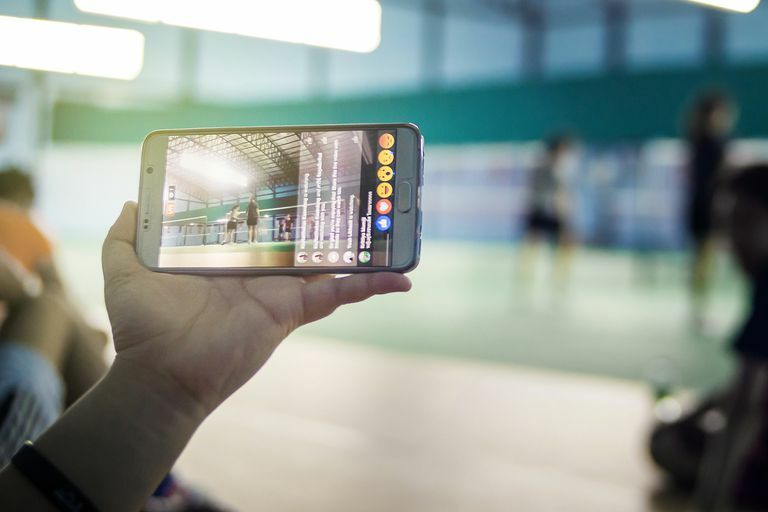 This means that you can stream your kid’s soccer match, swim meet, or piano recital, and allow others to watch it from just about anywhere, as the event happens. You can stream something you’re doing too of course, like hiking in the wilderness or baking your favorite cookies. You probably won’t be allowed to stream live video from a music concert or similar event though; it’s likely that Facebook will block that kind of post. Facebook intends for live streaming to be for personal events only. Livestreaming to Facebook requires 3 steps. You need to allow Facebook access to your microphone and camera; add information about the video you want to take and configure settings; and finally, record the event and decide whether to keep any permanent recordings of it. The Facebook app provides all the tools you need to stream live video. There is not a separate app called the “Facebook Live” app or “Livestream” app. Before you can post anything to Facebook from your smartphone or tablet you must install the Facebook app for you device. If you’re using a Windows 8.1 or 10 computer, there’s a Facebook app for that as well. If you’re using a Mac, make sure Facebook is integrated before starting. Open the Facebook app (or navigate to www.facebook.com). Click inside the What’s on your mind area where you normally post. Locate and click the Live Video link. Click the applicable Allow options and if prompted, check the box that lets Facebook remember your decision. If you have time and you want to, you can add a description, set your audience, tag people, share your location, and even share how you’re feeling before you go live on Facebook. The latest feature lets you add Snapchat-like lenses. You can also opt to only offer live audio (and leave out the video). If you don’t have time though, perhaps because your favorite player is standing at the free throw line on a basketball court and is about to make the winning shot, you’ll have to skip this part. Don’t worry, you can add quite a bit of this information after your live video is posted. Audience: Often set to “Friends”, tap to change to Public, Only Me, or any specific groups of contacts you’ve previously created. Tags: Tap to choose who to tag in the video. These are generally people in the video or those you want to make sure see it. Activity: Tap to add what you’re doing. Categories include Feeling, Watching, Playing, Attending, and so on, and you can make a related choice after tapping the desired entry. Location: Tap to add your location. Magic Wand: Tap to place a lens around the person you are focused on. …: Tap the three ellipsis to change live video to live audio only or to add a Donate button. Once you have access to the Start Live Video button, no matter what other prep work you’ve done, you can start streaming. Depending on who you ask, this is known as “going live on Facebook” or “Facebook livestreaming”, but whatever you call it it’s a wonderful way to share events with friends and family. Select either the front- or rear-facing camera if applicable. Point the camera at what you want to video, and narrate what you see, if you like. Add a lens to a face. Turn on or off the flash. If you opt to post your video it will be saved to Facebook and will appear in your feed and others. You can edit the post and add a description, location, tags, and so on, just as you can with any published post. You can also change the audience. If you delete the video it won’t be available, and it won’t be saved to Facebook or to your device. No one will be able to view the video again (not even you) if you delete it.